Proof that Greenville, NC is the best place to live. We have the best places to live in Greenville, many just around the corner from B's Barbecue, and the Hospital. View our listings at the link. We have many homes convenient to East Carolina University. View our listings at the link. Home of the ECU Pirates! Greenville is the rising city in the East, you'll love living here! Our property managers can help you with relocation. See, sort and filter our current rental listings for the Greenville, NC, Pitt County area. Information and Member Portal Login for current residents of RPM properties or Holly Glen Apartments. HOA info, Member Portal login, and HOA listings. Documents and board meeting dates on HOA pages. Learn about our professional services for investment property owners. Send email, or call our office at 252-329-7368. After hours needs, follow prompts to our answering service. Welcome to Russell Property Management. Russell Property Management (RPM) is a leader in rental property and HOA management in the North Carolina cities of Greenville, Winterville, Ayden, Farmville and surrounding Pitt County. Our rental properties include single family homes, apartments, duplexes and townhomes in the ECU, Pitt Community College, Vidant Health, and ECU School of Medicine areas. If you are considering a move to Eastern NC and you are looking for a rental home in the Pitt County area, please give us a call. Our property managers can help save you time and money with your relocation. View current resident information and services. If you are a current rental resident, you will want to visit our Current Rental Residents section for important documents and forms, our Resident Handbook and the Resident Portal login where you can view your account information, pay your rent online, and submit work orders. We offer professional property management. If you are looking for a property manager to manage your subdivision’s HOA, Russell Property Management currently manages over 4,000 members. We specialize in managing all types of HOAs including single family, duplex, townhome and multi-family communities. If you are a member of an HOA we currently manage, you will want to visit our homeowner association pages. On these pages, you can view and download important documents pertaining to your HOA, login to view your account balance, and submit email requests to RPM. One dog is allowed only and must be 20 lbs or less. A $300.00 pet fee is required. No cats, sorry! Cute two bedroom and 2.5 bathroom town house located in the Treetops subdivision. All bedrooms are located on the second floor. There is laminate flooring, all major appliances including a washer/dryer, and a masonry fireplace! 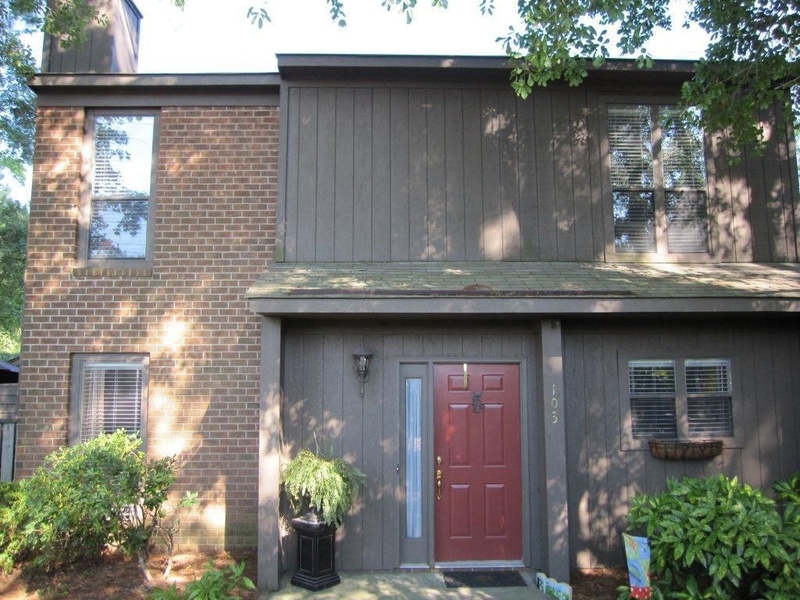 The unit is located on a wooded lot and offers convenient access to the community pool! One dog is allowed only and must be 20 lbs or less. A $300.00 pet fee is required. No cats, sorry!